California legislative leaders on Wednesday said they have retained a team of Covington & Burling attorneys led by former U.S. Attorney General Eric Holder Jr. to help fend off "potential challenges" from the incoming Trump administration. The hire follows eight weeks of post-election promises by state Democrats to create a firewall against potential Republican attacks on California's immigration, environmental and health care policies. It also offers a high-visibility platform for Covington, which has long sought a stronger presence on the West Coast. 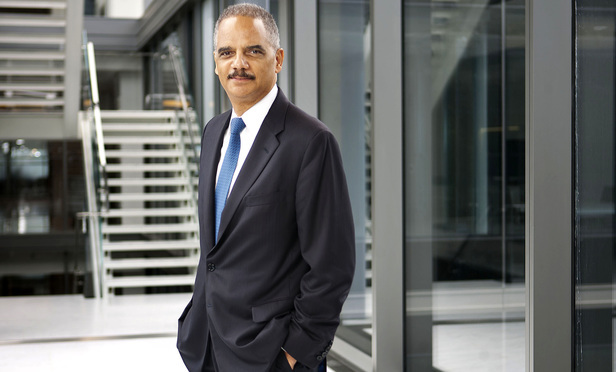 SACRAMENTO—California legislative leaders on Wednesday said they have retained a team of Covington & Burling attorneys led by former U.S. Attorney General Eric Holder to help fend off “potential challenges” from the incoming Trump administration.